Ludmilla: Of course, I love the fact that Tony and I can work together! But for me, the variation of the job is wonderful. In my role as a rep I’ve worked in many different countries and I just love interacting with the locals. The social side of the job – meeting lots of different people – is really interesting. Although the job can be very busy at times, the holidays are well-organised and the briefings and route notes we provide customers with are very detailed and practical, so customers can enjoy their holiday with no hassle! Of course, we’re always here to help them with anything that they need. Tony: This is not just a job for us. We really enjoy it and the job fits perfectly with our lifestyle as we’re both very keen on the outdoors and sometimes just love to go out for a walk or a bike ride! 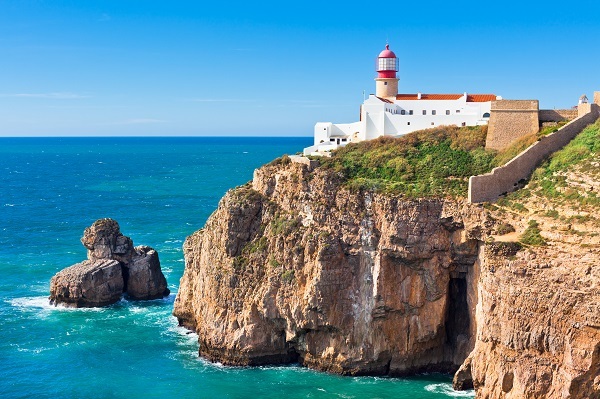 We always make the most of our working days; after moving bags between hotels for instance, we might have half an hour to go for a quick walk at the beach, or have lunch at Lagos, Pedralva or Vila do Bispo! Tony: It’s impossible to describe! There’s no typical day as such with our job. Ludmilla: I’d say there are a couple of things that are typical. For example, we either have an arrival, departure or a bag moving day and this can be on any day of the week. Most of the time one of us will pick customers up from/take them to the station or airport (depending on their travel arrangements), so the other is available in case customers who’ve already arrived have any queries. If customers have booked a cycling holiday with us we’ll usually prepare the bikes for them a day before, making sure that all maintenance and checks have been done. Tony: Once customers have arrived at the hotel we’ll do a briefing about the activity, equipment and each day of the itinerary, providing any tips and advice. We suggest the best places to stop for picnics, which local markets to visit and we give them a list of the supermarkets in the area and their opening times so they can stock up on picnic supplies. As for the briefings, depending on what time customers arrive (and if not too tired!) we can do them on the same day; usually we do them the following morning, before customers set off for their walk or ride. Ludmilla: There’s been some small things like tyre punctures, but I can’t recall us having any serious problems! Tony: A couple of times customers have asked us to pick them up if they’ve not been feeling well or if the weather isn’t good. We always try to be flexible so customers can enjoy their holiday. Of course, things like weather are not something that we can control, although a couple of times in the past due to really bad weather we’ve shuffled things around for our Walk the Algarve’s Wild West holiday because some of the walks are not to be missed! What’s your favourite walking or cycling route and why? 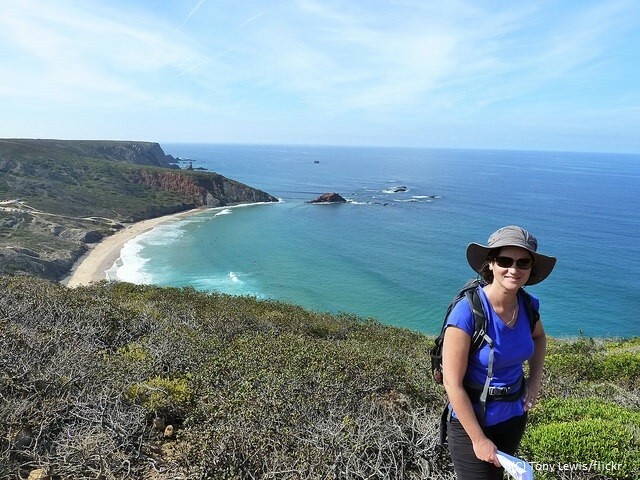 Ludmilla: In terms of walking, we both love Days 2 and 6 of the Walk the Algarve’s Wild West holiday. Day 4 also has some really nice parts, for instance, a lovely stretch through the ‘Strawberry Valley’. You just walk down into this peaceful valley and pick up some berries from the Medronho trees (locals use the berries to produce the famous local Medronho spirit). It’s a really peaceful and quiet place. 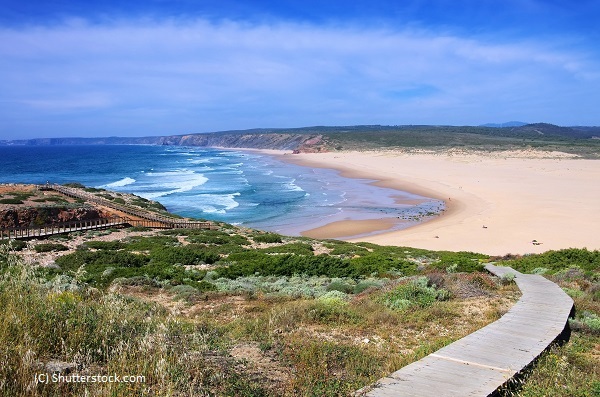 Tony: On Day 3, cycling from Carrapateira to Pedralva is really nice because you’re cycling on the cliff tops, and there are some amazing views in this area – the green valleys are so quiet and peaceful. The most spectacular walk in my view though is on Day 6 – Vila do Bispo to Cabo de Sao Vicente/Sagres – because you have the view of the ocean over the cliffs. It’s such an enjoyable walk, especially during spring when the flowers are out. If you have good weather you can also go down to Ponta Ruiva beach, where you can enjoy a nice picnic lunch. Walking this day is pretty easy and the whole way you can see where you’re heading – the lighthouse at the very edge of the Iberian Peninsula. The lighthouse has a small navigation museum and a bar, so it’s perfect if you want to find out more about this place or need some refreshments at the end of the walk! 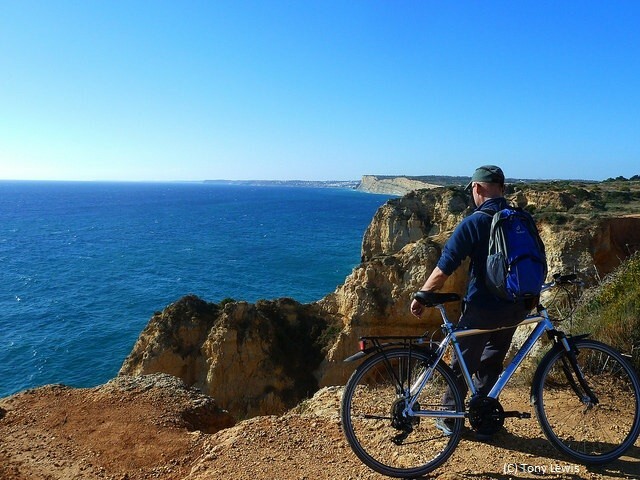 Ludmilla: As for our Cycling in ‘The Real Algarve’ holiday, I really like Day 4 – Lagos to Pedralva – as it’s pretty easy cycling and you get to see so much of the area, going through so many villages. There are lots of orange trees on the way and early in the year you get the almond blossoms, which are really beautiful! It’s a great combination of getting to know more about the local culture, villages and lifestyle, and seeing so much of the natural beauty. Tony: The free day in Pedralva (Day 5) offers some really nice routes for cyclists. You can cycle along the valley, streams and green fields – it’s so pretty and perfectly flat – or along the cliff tops where there are some fabulous views! Tony: All of it! 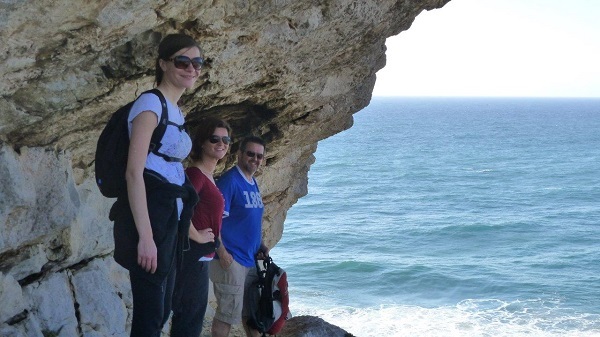 But I’d say Amado Beach on Day 2 of Walk the Algarve’s Wild West is definitely a must-see. It’s a perfect spot for a picnic or a stroll on the beach. Cyclists can also enjoy this truly spectacular place on their free day in Pedralva. Ludmilla: Well, all days offer some really amazing views but Day 6 of the walking holiday is pretty special, when you’re walking along the cliffs. Also, I really love one of the optional walks at Pedralva – following a lovely cliff-top trail back along to Amado Beach. This is also offered to cyclists, if they prefer not to ride on their free day. We’re happy to provide them with walking route notes, should they wish to explore this lovely area. What food and drink would you recommend to customers? Tony: We always recommend the pastels de nata (custard tarts) and the local food and wines are really amazing. Something typical of the Algarve region is the Medronho (made from the berries of the Medronho tree) – it’s a locally produced spirit and around 40-49% proof which is pretty strong! Ludmilla: There’s a great choice of fish here too. One of the local specialities, which is served at Pedralva, is Bacalhau no Pão which is cod fish in bread and tastes really good! The Dorade (golden sea bream) is another delicious local fish and in some restaurants they serve Limpets (which grow on the rocks) in their shells and grilled with garlic, butter and coriander. You can also try Percebes (goose barnacles) and cataplanas – a local cookware used to prepare seafood and meat dishes. There’s a huge variety of food, wine and restaurants that our customers can try. Ludmilla: Definitely! It’s a great lifestyle. We love to travel and at the same time stay in places long enough to get to know the local people. Tony: I think it’s also nice that we can work as a couple. We go to different places, we meet different people and we share the same memories. Many people think it’s just a holiday job but we’ve been doing this for years and the Algarve now feels like our home. It’s a good life! Prefer to look away from the computer screen? Order our 2018 brochure here.